Strengthening International Human Rights: Diplomatic Asylum. Sweden should issue assurance it won’t extradite Assange to USA. Amnesty International believes that the forced transfer of Julian Assange to the USA in the present circumstances would expose him to a real risk of serious human rights violations, possibly including violation of his right to freedom of expression and the risk that he may be held in detention in conditions which violate the prohibition of torture and other cruel, inhuman or degrading treatment (see the last section of this article for the full statement. You can also watch Julian’s speech here and read it in full at WikiLeaks.org where there is a transcript. At the UN webcast, you can watch a video of the whole meeting which includes the introductory speeches by Ricardo Patino, Ecuador’s Foreign Minister, and Baher Azmy from the Center for Constitutional Rights (CCR) – see below for notes of both speeches – , and also the full discussion after Julian’s speech, all of which are worth hearing. in the most basic and important sense: free to speak my mind. the United States has supported the forces of change. It must come as a surprise to those who heard Hillary Clinton insist that Mubarak’s regime was “stable,” and when it was clear to everyone that it was not, that its hated intelligence chief, Sueilman, who we proved the US knew was a torturer, should take the helm. …and that Julian Assange was a ‘high tech terrorist’. The United States is not the enemy. Its government is not uniform. In some cases good people in the United States supported the forces of change. And perhaps Barack Obama personally was one of them. 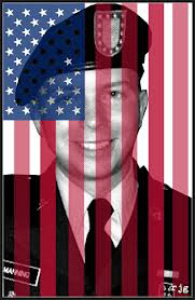 As President Obama had, in his address, told the story of Chris Stevens, The US Ambassador to Libya, who first went to Africa as a Peace Corps volunteer, and lost his life in the attack on the US Embassy in Libya, Julian Assange took the opportunity to remind the world of another American Hero, Bradley Manning, and of his suffering at the hand of his own government. 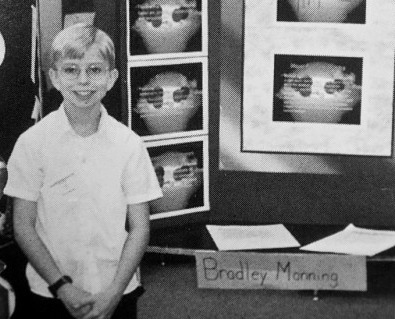 Bradley Manning, science fair all-star, soldier and patriot, was degraded, abused and psychologically tortured by his own government. The soldier was born in Crescent, Oklahoma to a Welsh mother and US Navy father. His parents fell in love. His father was stationed at a US military base in Wales. It is alleged, it was there, in Baghdad, in 2010 that he gave to WikiLeaks, and to the world, details that exposed the torture of Iraqis, the murder of journalists and the detailed records of over 120,000 civilian killings in Iraq and in Afghanistan. He is also alleged to have given WikiLeaks 251,000 US diplomatic cables, which then went on to help trigger the Arab Spring. 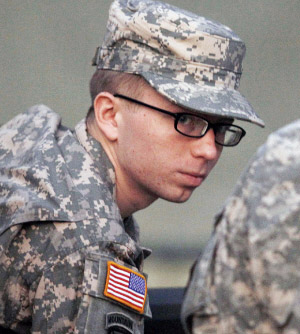 This young soldier’s name is Bradley Manning. The US administration is trying to erect a national regime of secrecy. A national regime of obfuscation. A regime where any government employee revealing sensitive information to a media organization can be sentenced to death, life imprisonment or for espionage and journalists from a media organization with them. Being searingly (shockingly) truthful because everything depends on the clarity and not for a minute giving way to any softening of the blows, yet still never seeming to assault, and somehow appearing almost yearning and intimate, Julian achieved the near impossible. And the upshot is that it was very good (in the fullest sense of the word). Read the whole thing here; it’s well worth it. Earlier, WikiLeaks had released documents obtained by a Freedom of Information Act (FOIA) application, and used as part of the evidence for the asylum request, which made it ‘official’: Julian Assange and WikiLeaks are ‘enemies of the state’. said the Sydney Morning Herald. reveal that military personnel who contact WikiLeaks or WikiLeaks supporters may be at risk of being charged with “communicating with the enemy”, a military crime that carries a maximum sentence of death. This resonates with the most serious charge Bradley is facing, but the enemy there is cited as Al Qaeda; here it is openly being categorised as WikiLeaks. It obviously has worrying implications for supporters, especially American ones, but, with the western world seeming only to be getting more ‘homogenised’, also for the rest of us as well. That extraordinary report in the Independent that a District Court in the US ‘ordered’ the BBC to hand over footage recently is also very troubling. Combined with the extensive list he read out during the speech which named each of the US official agencies that were investigating WikiLeaks and/or Julian himself, as well as WL staff and WL supporters, and then taking that together with a further comprehensive list, closely referencing US interest in the same (also just published on the WikiLeaks site), this ‘enemy’ designation should be the clincher for anyone still havering about the reality of the political persecution Julian has claimed asylum from. going on to describe just how bizarre it is. Ecuador’s Ricardo Patino kicked off the meeting, laying the basis for Ecuador’s decision to grant asylum to Julian Assange: charting Ecuador’s progress for us through huge changes in a short space of time via a citizen revolution which had redefined its public and foreign policy, taking back the responsibilities of its sovereign choices which the old regime had surrendered to the dictates of a foreign power, and taking a new model of development concerned with inclusivity and interdependence, the provision of services, and having at its heart human rights. These policies, or at least President Correa, had over 70% public approval in Ecuador. safeguarding the human person when a despotic power descends upon him that presents threats. and had thorough consultations with the governments of Sweden, the UK and the USA, as well as consulting experts in international law and their own diplomatic personnel, before coming to the decision, which was without discrimination, and rooted in great jurisprudence, to grant Julian Assange asylum in August. He said that they had since done all they could to resolve the conflict, and offered various solutions. He referred to ‘bilateral obligations’ (alluding to those much stressed by Sweden and the UK) and, in mentioning the meeting with William Hague (27 September), referenced a 140 year old extradition treaty which was still in force between the UK and Ecuador and needed to be given due weight, which held that ‘politically motivated causes prevent extradition’. this is our organization… these debates will force it to evolve… will place it into the new times. (Got that, you old has-beens? He was also the only bloke I could see not wearing a tie, incidentally). Baher Azmy spoke briefly to underline the seriousness of the threat of persecution should Julian arrive in the United States. He pointed out that the US would normally grant asylum to someone like Julian engaged in political activity (as long as the someone wasn’t actually Julian!) and said that US law is even geared to granting asylum to whistleblowers, recognizing that one of the qualifying criteria under the 1951 refugee act is political persecution for activities which dissent from the status quo, and accepting this as a valid reason to grant asylum. But because he is Julian he is ‘public enemy no. 1’ and an ‘enemy of the state’ and as such he could not get a fair trial, even for conduct protected by the constitution. High level officials have consistently and publicly characterised Julian by expressing contempt and worse for him and his activities, have called him a terrorist or aligned his activities with terrorism. So, though the US government has granted (eg) Chinese, Bangladeshi and Pakistanis asylum for whistleblowing activities, this doesn’t apply to Assange. There is ample evidence of both a 42,000 page FBI investigation and a secret Grand Jury which either has already completed or is working towards an indictment under the Espionage Act of 1917. 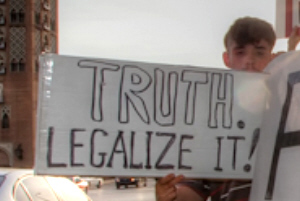 That this law is invoked is significant because the statute went on the books during World War 1 and was expressly and avowedly for the purpose of crushing dissent, and it resulted in over 2,000 prosecutions, some for even expressing sympathy for a person holding a dissenting view (shades of NDAA sect 1021 (b) 2?). In fact, after that repressive time, laws relating to the constitution were enacted in order to protect civil liberties and giving the right to political dissent, and the Espionage Act fell into disuse for around 90 years. It’s surfacing again now, and this is apparently how they plan to deal with Julian Assange. Furthermore, the conditions in which he would be held would be punitive, he would almost certainly not be given bail and he would be likely to be housed in a maximum security prison in solitary confinement, the conditions in these prisons rivalling the worst in the world for awful. And, finally, we have the example of how they have already treated Bradley Manning. So that underscores the wisdom of Ecuador having granted asylum to Julian – he could not receive a fair trial, he could be sentenced to death or life imprisonment for activities which are not illegal, and the conditions under which he would be held are ‘cruel, inhuman and degrading’. Here are some of the ‘fine words’ from President Obama’s speech. True democracy demands that citizens cannot be thrown in jail because of what they believe ….. 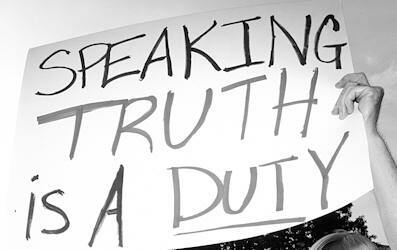 It depends on the freedom of citizens to speak their minds and assemble without fear; on the rule of law and due process that guarantees the rights of all people. …in a diverse society, efforts to restrict speech can become a tool to silence critics our Founders understood that without such protections, the capacity of each individual to express their own views, and practice their own faith, may be threatened. …those who love freedom for themselves must ask how much they are willing to tolerate freedom for others. the United States has not, and will not, seek to dictate the outcome of democratic transitions abroad, and we do not expect other nations to agree with us on every issue. I know that not all countries in this body share this understanding of the protection of free speech. Yet in 2012…..the notion that we can control the flow of information is obsolete. It is time to leave the call of violence and the politics of division behind. On so many issues, we face a choice between the promise of the future, or the prisons of the past. We cannot afford to get it wrong. We must seize this moment. The United States of America will always stand up for these aspirations, for our own people, and all across the world. That was our founding purpose. That is what our history shows. Those in power have to resist the temptation to crack down on dissent. fears that his speech would be overshadowed by the WikiLeaks campaigner were borne out. PRESS CONFUSION: SIMULTANEOUSLY ‘UNWELL’ AND ‘IN GOOD HEALTH’? looked to be in good health. The Wikileaks founder, Julian Assange, has accused president Obama of seeking to exploit the Arab Spring revolutions for political gain, claiming Obama’s vocal support for freedom of expression had not been translated into action. Assange mocked Obama for defending free speech in the Arab world in an address to the United Nations on Tuesday, pointing to his own experience as evidence that Obama has “done more to criminalize free speech than any other U.S. president. The Swedish authorities should issue assurances to the UK and to Julian Assange that if he leaves Ecuador’s London embassy and agrees to go to Sweden to face sexual assault claims, he will not be extradited to the USA in connection with Wikileaks, Amnesty International said. In the wake of the Wikileaks co-founder addressing the United Nations and with talks due between the British Foreign Secretary William Hague and Ecuadorian officials, Amnesty International added that it was time to break the impasse. First, it will break the current impasse and second it will mean the women who have leveled accusations of sexual assault are not denied justice. While Amnesty International has no evidence that Sweden plans to extradite Assange to the USA, it seems evident that fears about such an outcome have played no small part in the current stand-off. Amnesty International believes that the forced transfer of Julian Assange to the USA in the present circumstances would expose him to a real risk of serious human rights violations, possibly including violation of his right to freedom of expression and the risk that he may be held in detention in conditions which violate the prohibition of torture and other cruel, inhuman or degrading treatment. 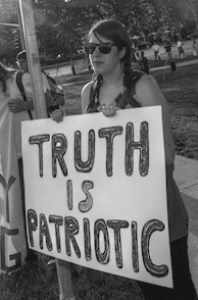 Gallery | This entry was posted in Analysis, Assange, Manning and tagged Bradley Manning, Britain, Ecuador, Ecuadorian Embassy, extradition, Julian Assange, Sweden, torture, US, WikiLeaks. Bookmark the permalink.